HRDK is the only company in Jodhpur which does refining by aqua-regia. HRDK is the pioneer in testing which ensures accurate results. HRDK is the poineer in testing assisted with latest equipment. HRDK is the fast growing and innovative company. HRDK is the trusted manufacture with vast collection of masterpieces. HRDK is a leading jewellery manufacturing company located in the heart of Jodhpur. HRDK is not an unknown acronym in the jewellery industry as its tradition stands over generations. HRDK was found by Late Mr.Hari Ram Soni in the year 1974, Initially he started his business with manufacturing hand-made gold chains. Since 2004 Mr.Dilip Soni succeeded and bettered the heritage of Late Mr.Hari Ram Soni which lasted for over 30 years. HRDK is the fast growing and innovative company with a strong appetite to continuously improve and grow, the company added manufacturing chains by machine, gold testing and refining and as well as coin and bar minting. We sense something went wrong, price are not live. HRDK live rates provides gold & silver prices obtained from various sources believed to be reliable, but we do not guarantee their accuracy. 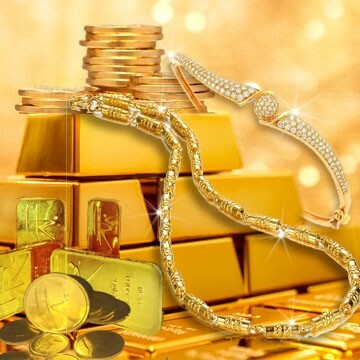 Our gold & silver price data are provided without warranty or claim of reliability. It is accepted by the site visitor on the condition that errors or omissions shall not be made the basis for any claim, demand or cause for action. HRDK is trusted & oldest name in chain making, we manufacture & trade gold chain & bracelet. HRDK is the leader in precious metal refining and the only company in Jodhpur, which does refining by aqua-regia. We strive to make the precious metals recycling process seamless, and free from titanium, iridium, ruthenium, osmium, rhodium & other platinum group metal. HRDK is the pioneer in testing, We ensure that the Scientific way of testing the metal assisted with latest equipment, gives the most accurate results with various Elemental and Quantitative analysis. We mint gold bars & coins in various weight in 99.5 purity at competitive price. Gold bars and coins are one of the most popular ways to invest in precious metals. Gold bars and coins come in many different shapes and sizes. 1. The content of the pages of this website is for your general information and use only. It is subject to change without notice. 2. Your use of any information or materials on this website is entirely at your own risk, for which we shall not be liable. It shall be your own responsibility to ensure that any products, services or information available through this website meet your specific requirements. 3. Unauthorized use of this website may give rise to a claim for damages and/or be a criminal offence. 4. Your use of this website and any dispute arising out of such use of the website is subject to the laws of India or other regulatory authority. © 2015 HRDK. All Rights Reserved.